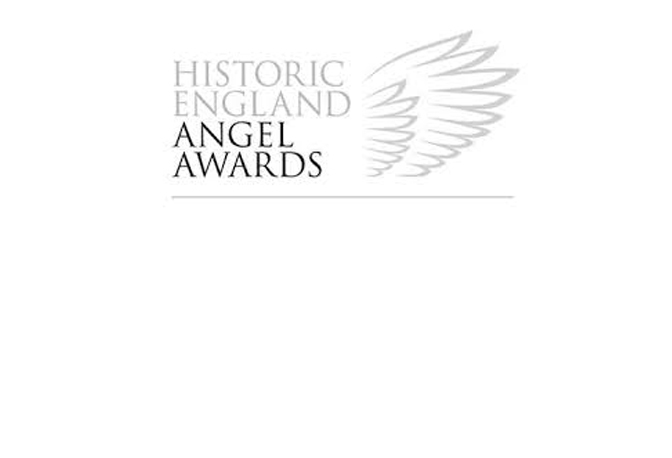 Holy Well Glass are pleased to announce that staff members Tom Courtiour and Shane Toomey have been awarded commendations as part of the Historic England Angel Awards. They entered the category for Best Craftsmanship or Apprentice on a Heritage Rescue or Repair Project. 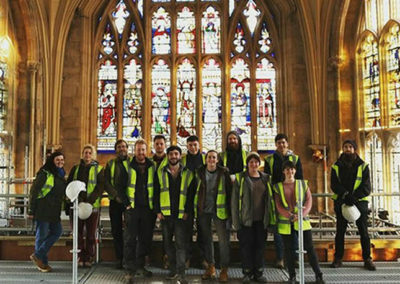 This category recognises a craftsperson or apprentice who has demonstrated craft skill that has been key in repairing or rescuing a historical site. 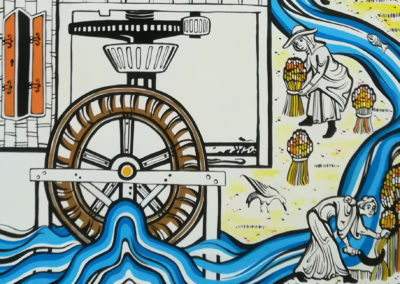 The award application relates to the recent project on the Great West Window at Worcester Cathedral. Tom and Shane have been heavily involved in the repair of this window. They worked together on some shared elements, but they also had responsibility for individual areas of work. Tom focused on the lead support framework and its unusual structural design, and carefully designed the transportation boxes to protect the panels, whilst Shane concentrated on inserting metal filaments to the lead matrix to give added strength, realising that a design upgrade was necessary. 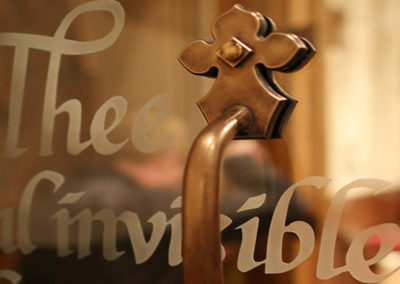 The award was entered in conjunction with the team at Acanthus Clews Architects, whose partner Camilla Finlay is architect for Worcester Cathedral.